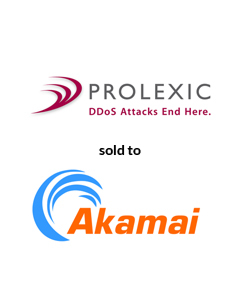 AGC Partners is pleased to announce that its client, Prolexic Technologies, a provider of cloud-based security solutions for protecting data centers and enterprise IP applications from distributed denial of service (DDoS) attacks, has entered into a definitive agreement to be acquired by Akamai Technologies, the leading provider of cloud services for delivering, optimizing and securing online content and business applications. Akamai will acquire all of the outstanding equity of Prolexic in exchange for a net cash payment of approximately $370 million, after expected purchase price adjustments, plus the assumption of outstanding unvested options to purchase Prolexic stock. The closing of the transaction, which is subject to customary closing conditions, including regulatory approvals, is expected to occur in the first half of 2014. With a team led by Maria Lewis Kussmaul, AGC Partners acted as sole financial advisor to Prolexic Technologies. It definitely has been a busy year. First with the Series C equity raise in July and now with our announced sale to Akamai. Throughout this process Maria and the team at AGC have been consummate professionals. They have provided unparalleled domain knowledge and crisp execution during both transactions. I would gladly work with Maria and AGC again in the future.